T. Rowe Price Blue Chip Growth Fund is an actively managed mutual fund. This best 401k mutual fund has no dividend yield. Its expense is 0.72% per year. The portfolio turnover rate is 32%. This U.S. stock fund is open to new investors. The fund manager is Larry J. Puglia since 1993. This equity fund is investing in common stocks of large-and medium-sized blue chip growth companies. Morningstar has ranked this best mutual fund with 5 stars rating. The 3 year annualized return is 22.71%. 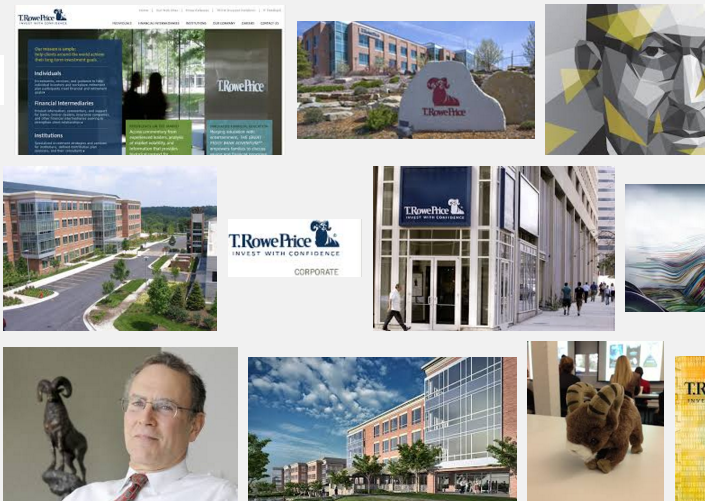 This T. Rowe Price Balanced Fund invests 65% of its total assets in common stocks and 35% in fixed income securities. It has yield of 1.94%. With assets of $3.99 billion, this top balanced fund is managed by Charles M. Shriver. The annual expense ratio fee is 0.60%. The annual portfolio turnover rate is 53%. Morningstar has ranked this best T. Rowe Price mutual fund with 4 stars rating. This fund has returned 7.68% over the past 3 years, 8.60% over the past 5 years, and 6.05% over the past 10 years. You can buy this mutual fund from your brokerage with $2,500 initial investment. This T. Rowe Price International Discovery Fund utilizes its assets to purchase common stocks of rapidly growing, small- to medium-sized companies outside the U.S. The fund manager is Justin Thomson since 1998. Its expense fee is 1.21%. It has $4 billion of assets. The current yield is 0.79%. As of October 2015, the top 4 stocks are Victrex PLC, PChome Online Inc, Axiare Patrimonio SOCIMI SA, and Playtech PLC. Top 5 sectors are consumer cylical, technology, industrials, financial services, and healthcare. T. Rowe Price Retirement 2040 Fund (TRRDX) invests in a diversified portfolio of other T. Rowe Price stock and bond funds that represent various asset classes and sectors. This asset allocation fund has a yield of 1.32%. This mutual fund is popular among investors with $16 billion of assets.